World is definitely shrinking down rapidly and this is well evident through the way we live and places where we live. It seems that all of us are in constant search for little space of our own that where we could enjoy peacefully and quietly. Quiet and peace is another thing that is getting ever more impossible to enjoy. Since we happen to live in such a crowded environment it is impossible to shut down all the noise coming from Sun City streets. If you cannot enjoy your quite time, not even when you are in your home then you might be having some big issues. Our homes are our shelters, and the main purpose is to help us distance ourselves from the outside, and if the outside is getting through the inside then we might as well live on the street. Well before you start packing and moving due to the unbearable noise constantly present within your home there is definitely one thing you may try to do – you may use your garage door as the noise buffer. 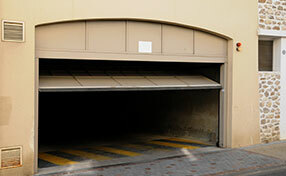 Garage door in fact may have very great impact on the noise control around your home. As you know your garage doors cover one entire wall and quite often that is the wall facing the street. Unless you have solid garage door you might get the first hand experience what would it look like to live on the street. Since this is definitely a dream only few people make, you might try to stop all this noise using your garage door. 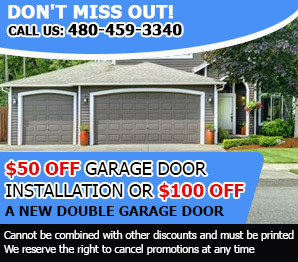 What can your garage door do about it? Even though lots of people see garage doors as just another door on their home, garage doors are actually much more. They help you go about your daily routine but they also help you keep your place warm, safe and quite place to live. How do they achieve this is with their composition and certain features. If your garage door is made of thick and solid materials then you have very god chances of leaving the noise out on the street. If you happen to have insulated garage doors then this might help you further on to quite down the noise. Great thing about insulation is that you can add it afterwards so if your garage door did not come originally with this feature you can upgrade them.